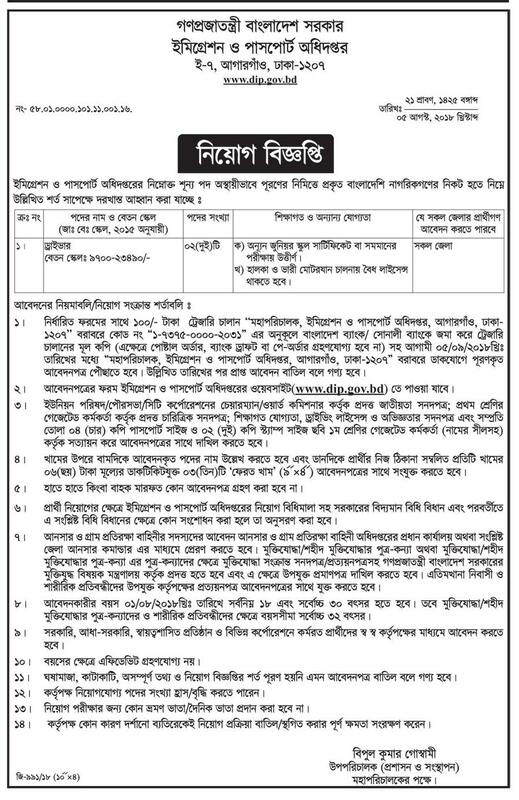 Bangladesh Department of Immigration and Passports (Passports) published New job vacancy Notice at www.dip.gov.bd Passports Office Jobs Circular offer New vacancy in this post. honors/HSC Or Graduate Student also apply this Passports govt circular 2018. Job Application Deadline : 05 September 2018. Salary : There are different salary in various Post. For check full salary read below this original circular. Are you ready for apply this dip govt job circular using your computer ? Let`s follow this instruction and complete your dip online application registration .